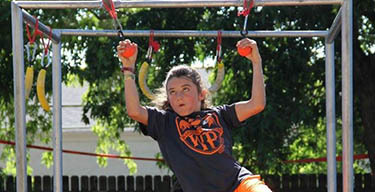 Join the expert climbers from LCC and the ninja warriors from the Warrior Playground for a summer camp experience at the Longmont Climbing Collective. Campers will experience what it takes to become a Climbing Ninja - Balance, Strength, Focus, and Teamwork. This camp is perfect for beginners or experts alike ages 6-14. Whether you are looking to boulder for the first time or to perfect your Ninja agility, you’re sure to find this camp a fun and exciting learning experience!